Do you ever think of getting Butterfly table tennis bats for your ping pong game? Many people know that most of the table tennis manufacturers are producing their own lines of pre-made or pre-assembled paddles. Butterfly is of no different where it also produced quite a number of quality pre-assembled table tennis bats. What’s Good About Butterfly Table Tennis Bats? Will You Buy A Butterfly Table Tennis Bat? The major differences between their paddles with the regular rackets that you find at any sports store can be huge. These paddles are ready-to-use immediately, they are built to the last base on the unique and innovative technology and the owners will benefit from a full replacement of the rubber when the surface wears out. I no need to mention too much about this brand in the table tennis world. The popularity of Butterfly can be known through the word-of-mouth and the sales volumes throughout the world. Japan Butterfly Company can be regarded as one of the world’s top table tennis producers. It has been continuously updated, researched and developed for more than half a century. It has always been at the forefront of the times through various technological innovations. 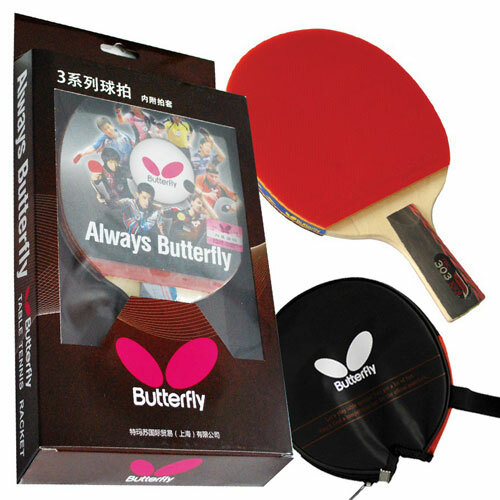 The excellent quality of the Butterfly table tennis bat also makes it always maintain the mid-to-high end price. It is a common dream of all the players to have a Butterfly racket. So, the question you should have is not asking which table tennis bat should I buy, instead, you should ask which Butterfly table tennis bat should I buy? The characteristics of Butterfly bade is most of the blades are constructed with the quality oriental wood materials such as Hinoki wood from Japanese and Ayous wood from Asia. The blades generally are thicker than other brands. The material selections are of high quality and are diligently pick. Butterfly seems to be the first manufacturer to introduce a variety of blades that are constructed from special materials such as carbon and aryl. In addition, Butterfly is the company that produced the most diverse brands of blades in today. The only disadvantage of these rackets compared to common ping pong paddles is the price. However, before you jump into conclusions and start calculating whether you should buy a dozen of regular rackets or a set of professional Butterfly ping pong rackets, you should know first what makes them so wonderful. Well, it is the quality of the wooden handle and the rubber mixture that actually make them better quality compare to others. If money is not an issue for you or you are frequently taking part in important tournaments and competitions, then you will want to invest in the Butterfly ping pong rackets. By doing so, you will enjoy a light handle that is easy to grab and that can absorb the hand perspiration during your ping pong matches. In addition, with these quality paddles, you will be able to ensure that the trajectory of the ball is the one you intended, and it does not get modified by a bump or a wearing in the rubber. In other words, professional Butterfly paddles will take your ping pong experience to a whole new level. If you intend to purchase some professional paddles like the Butterfly table tennis bats, then you should know that the quality standards that apply to a certain brand do not apply for other brands as well. Normally you can compare quality between the paddles of the same manufacturer. However, you will not be able to compare the quality of paddles or rackets that are produced by different manufacturers. Therefore, keep that in mind when you are reading various reviews in order to make a decision about the paddle that is right for you. One big advantage of the reputable table tennis equipment manufacturers is that they have well-built and informative sites that help all players, regardless of their level, to make the right pick. For example, if you are visiting the manufacturer site for the Butterfly ping pong rackets then you will notice all paddles have a tag that provides information regarding the recommended level of the player. Furthermore, you will also notice that most paddles on the website include ITTF approved rubber. What this means is that if you improve your level of play and participate in semi-official or official tournaments, you will not have to invest in another ITTF approved equipment. 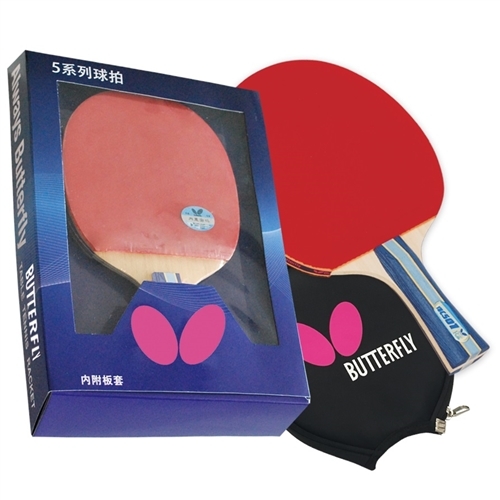 The Butterfly table tennis bats are ideal for first-time players because of the resilience of the paddles and the user-friendly interface of the website. However, Butterfly is also a good pick for professional players since the manufacturer provides detailed information about the quality of the rubber and allows players to assemble their own paddle, if you take a look, for example, at their pro-line rackets. Normally these parts of rubber and wooden handles are of superior quality compared to pre-made rackets. Nonetheless, if you are an intermediate level player and you want a better paddle, the manufacturers will assemble the racket for you. The rackets that produced by Butterfly are suitable to be used by both Asians and Westerners. They generally offer players with good feel and well grip. Even though some of the rackets may give slightly weaker force, but it tends not to slow down their playing strokes. Most of the Butterfly pure wood blades are soft. If you need a harder blade, then you will need to choose the carbon blades. Also, most of the Butterfly blades are featured with a large sweet spot. Therefore, you can have a large control rage when you play with Butterfly blade. You can have very good control over the ball when you serve or drive close to the table. You can also play a very stable loop. 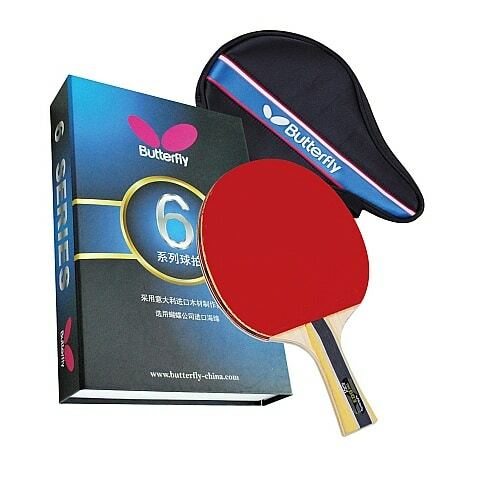 After all, Butterfly is a reliable brand in table tennis that you can always count it on.